Marine Lcpl. 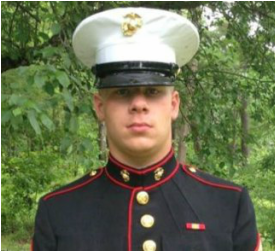 Brandon Garabrant - Run for the Fallen New Hampshire, Inc.
II Marine Expeditionary Force, Camp Lejune, NC 19, of Peterborough, NH; killed in action during a hostile incident while supporting combat operations in Helmand province, Afghanistan. Brandon was born in Nashua, NH to John and Jessie Garabrant. Brandon lived a life of giving and helping. In addition to his commitment to the United States Marine Corp, Brandon began an early ministry of service to others. As a young teenager, he joined the Peterborough Fire Explorer Post and the Peterborough Police Explorer Post. Later, he became a member of the Temple Volunteer Fire Department. 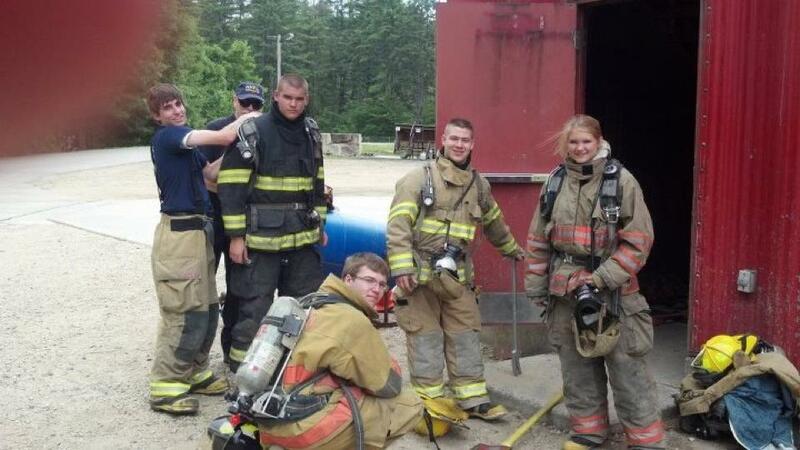 He was active in the Jaffrey Bible Church, as a member of the Youth Group. He was also a missionary for a summer with CEF and volunteered at Monadnock Bible Center. Brandon worked at Touchstone Farm in Temple and at Summer Hill Retirement in Peterborough. He was also an intern at the Department of Transportation Highway Shed in Greenfield. The general manager at Touchstone Farm, Chris Young said his job was primarily maintenance and barn staff, but he would also help with therapeutic riding for disabled children and adults. Young said that just fit the kind of person Brandon was. She remembers him as a stellar employee, who always went above and beyond, asked if there was anything else he could and always with a smile on his face. 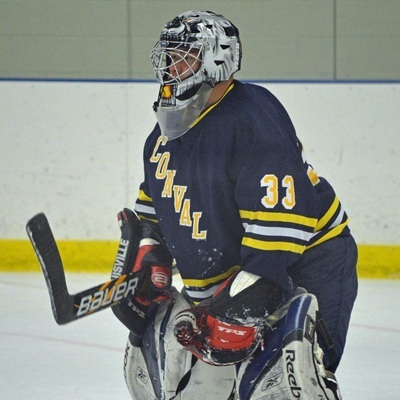 Brandon was a 2013 graduate of ConVal High School, where he was a goalie for the Boys Varsity Ice Hockey Team, and played football and lacrosse. In June 2013, Brandon also graduated from Marine Corps basic training in Parris Island, SC. 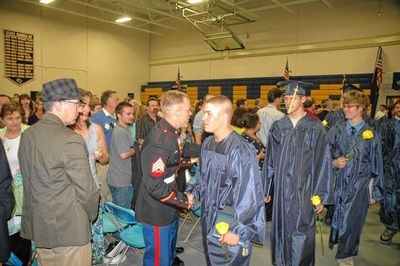 He flew home with his family immediately after his USMC ceremony in order to attend his high school graduation. 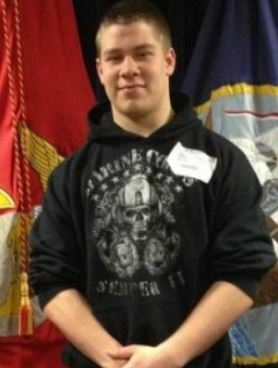 He had completed his high school academic work earlier in the year, and following that had spent the 13 weeks in boot camp. 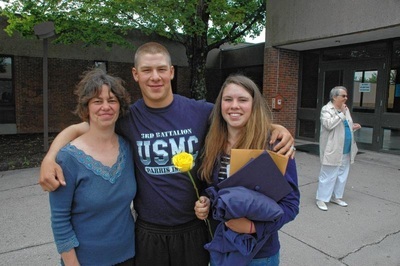 Brandon had arranged the timing of his training so that he’d be a full-fledged Marine prior to his graduation from ConVal. 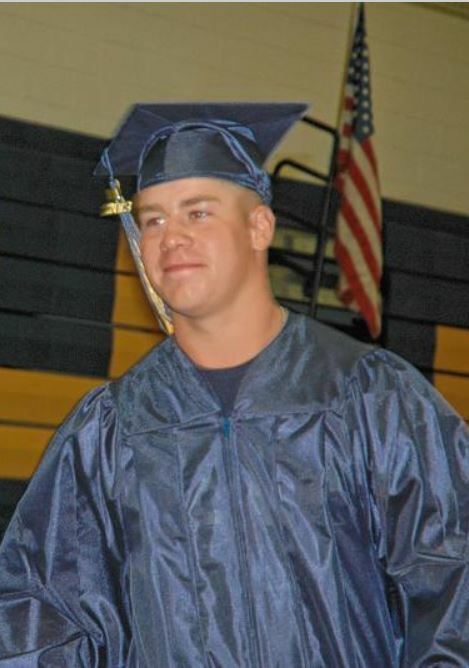 He had asked permission to wear his uniform instead of a cap and gown in the high school ceremony. ConVal Principal Brian Pickering, after discussions with the Student Council, turned down that request. A week or so before graduation, Brandon’s mother, Jessie Garabrant, went public, saying she felt Pickering’s decision was “a disgrace to the uniform.” The issue quickly drew nationwide attention. Pickering he’d been flooded with angry emails protesting his decision, but that the graduation ceremony was intended to celebrate the accomplishments of the class as a whole, not just one individual. Brandon was willing to follow the school’s policy. “I respect the decision,” he said, while standing outside the school after the graduation ceremony, having shed his cap and gown but proudly sporting the Marine Corps T-shirt that he wore beneath his gown. “I really had no clue what had been going on. I didn’t think it would get as much notice as it did.” "We made a request. It was denied. 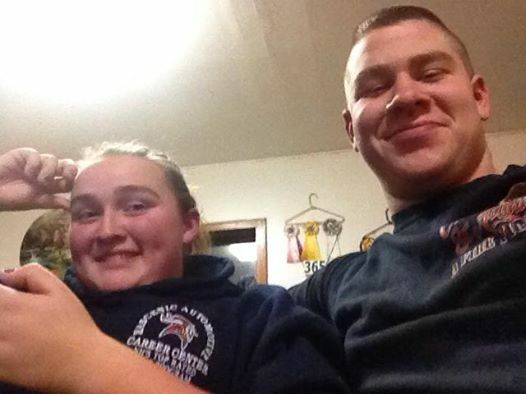 The public responded,” said his mother Jessie Garabrant as she stood next to her son. “I’m very proud of Brandon. 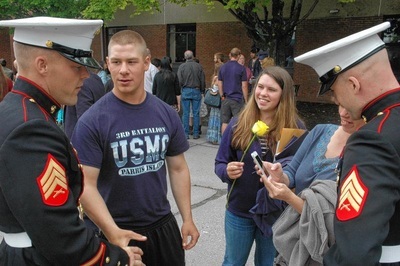 He’s very respectful.” Two Marines — Sgt. Derek Spoor, who had recruited Garabrant, and Sgt. Bryan Lett, a public relations officer based in Portsmouth — attended the graduation in their dress uniforms and congratulated Garabrant afterward. Brandon was posthumously promoted to corporal and received the Purple Heart, a military custom for those who die in combat. His awards and decorations include the National Defense Service Medal and the Global War on Terrorism Service Medal. He was buried with full military honors the New Hampshire State Veteran's Cemetery. Memorial contributions in Brandon’s name may be made to Touchstone Farm; Wounded Vet Riding Program, 13 Pony Farm Lane, Temple, NH 03084 or to the NH Fire Explorers Academy, PO Box 592, Keene, NH 03431. Brandon is survived by his parents John and Jess Garabrant; his sister Mykala and brother, Jacob Garabrant; his paternal grandparents, Judy and Kenneth Garabrant and several aunts, uncles, and cousins.